San Francisco – (RealEstateRama) — The U.S. Environmental Protection Agency (EPA) today issued a $699 million loan to the San Francisco Public Utilities Commission to help finance its innovative Southeast Treatment Plant Biosolids Digester Facilities Project. This is the largest loan issued under EPA’s Water Infrastructure Finance and Innovation Act (WIFIA) program to date. With EPA’s WIFIA loan, the San Francisco Public Utilities Commission will replace its outdated biosolids digester facilities with modern, efficient technology. The new facilities will transform wastewater solids into high-quality biosolids and biogas. Additionally, the new digesters will be located farther away from existing residences, feature advanced odor control, and will be built to be more resilient to earthquakes. “Rebuilding our biosolids digester facilities is crucial to realizing our vision to transform San Francisco’s largest wastewater treatment plant into a modern resource recovery facility. With the federal government’s low-cost loan program, we can realize significant savings for our ratepayers and create high quality employment and contracting opportunities in parts of the City that need it most,” said SFPUC General Manager Harlan L. Kelly, Jr. The project is estimated to cost $1.43 billion and EPA’s WIFIA loan will help finance nearly half that amount—up to $699 million. 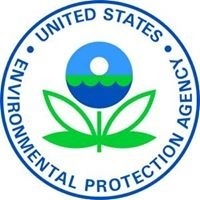 According to the San Francisco Public Utilities Commission’s estimates, EPA’s loan is expected to save the commission up to $398 million through the WIFIA program’s low interest rates. Project construction is expected to begin in late 2018 and be completed in 2025. In April 2018, EPA announced the availability of additional WIFIA funding that could provide as much as $5.5 billion in loans, which could leverage over $11 billion in water infrastructure projects. The 2018 WIFIA Notice of Funding Availability (NOFA) highlights the importance of protecting public health including reducing exposure to lead and other contaminants in drinking water systems and updating the nation’s aging infrastructure. Prospective borrowers responding to the 2018 NOFA must submit a letter of interest by July 31, 2018. EPA will evaluate submitted letters of interest from prospective borrowers in response to the 2018 WIFIA notice. Through this competitive process, EPA will select projects it intends to finance and invite them to continue the application process this fall. According to EPA’s estimate of national drinking water and wastewater needs, over $743 billion is needed for water infrastructure improvements. The WIFIA program plays an important part in fulfilling this need and in the President’s Infrastructure Plan, which calls for increasing the program’s funding authorization and expanding project eligibility.